The world’s most widely used messaging application, with more than 1,000 million users, ensures our conversations. With the most recent versions of WhatsApp our security and privacy is protected thanks to the end-to-end encryption now arriving worldwide. 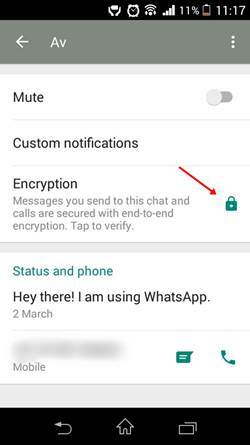 All our messages, photos, videos, voice messages, documents and WhatsApp calls are now encrypted so they do not fall into improper hands. No one can intercept our messages or calls, WhatsApp nor third parties can read or hear our conversations. They are now completely secure. 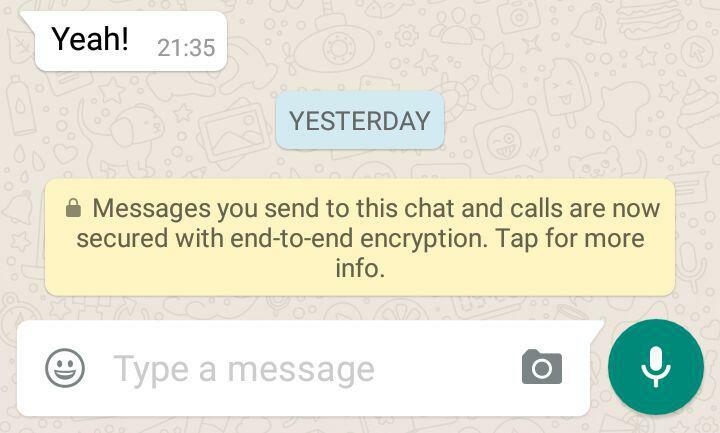 The encryption end-to-end of WhatsApp is nothing new, from 2014 already began to encrypt our conversations, but was limited only the messages of text, and not in the world. 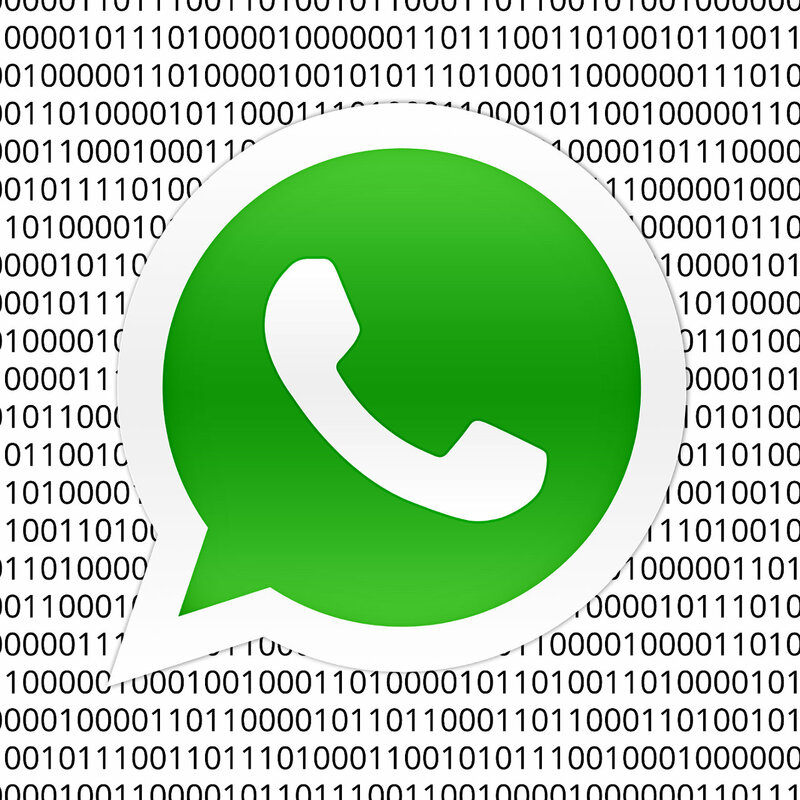 Now the novelty is that encryption comes to everyone and everything that we send by WhatsApp. 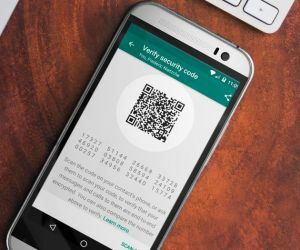 Thanks to the end-to-end encryption Messaging service WhatsApp ensures that only you and the recipient can see what you have sent. All our messages, files and our calls are protected with a special code that only your application will know. For added protection, each message has own unique code. There will be no way to disable the end-to-end encryption. 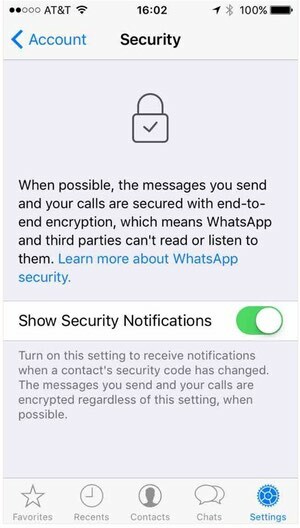 WhatsApp you will let us know now if each of our conversations are safe, will inform us if the end-to-end encryption is enabled. 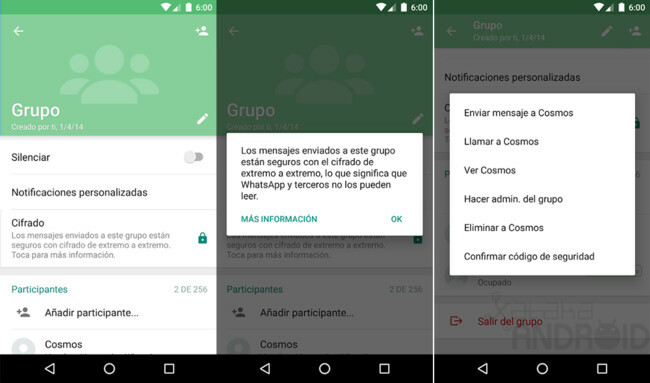 The encryption becomes both private chats and groups. 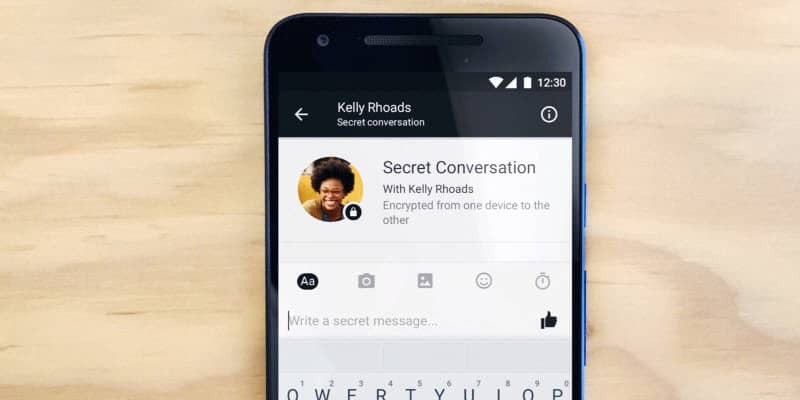 Calls and messages sent to this chat now are secure with end-to-end encryption. 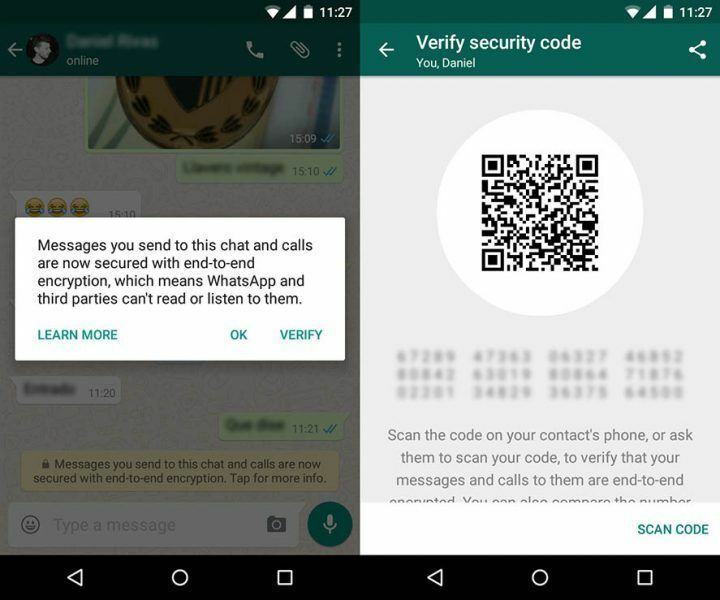 If WhatsApp informs us with the previous message that our conversation is encrypted is that both we and our receiver are one of the latest versions of WhatApp and now is you enabled encryption on the verge, Although they allow us to manually confirm that a chat is encryption showing codes. Press on the name of the contact or group then go to the information screen. Click encryption to view the 60 digits or the QR code. If it appears the QR code and the 60 digits of the code is that this conversation is being encrypted. 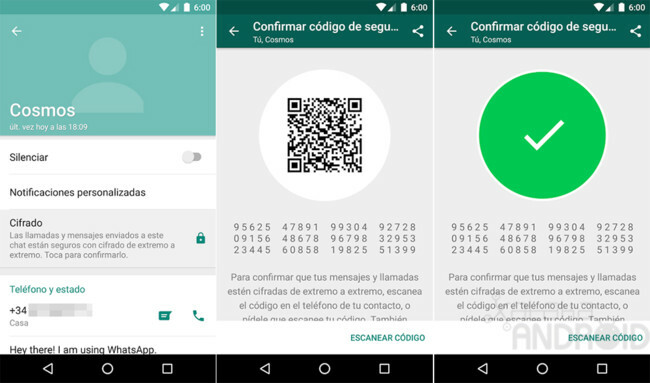 WhatsApp allows us to make sure by checking whether that code is valid, although this step is completely optional. 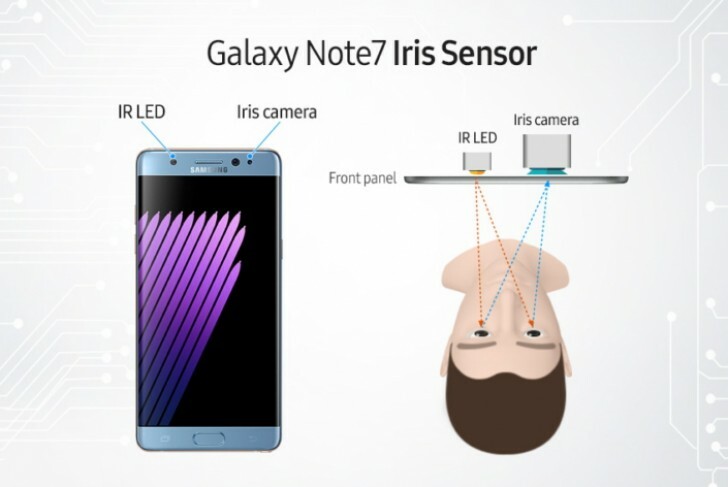 So we have two options, scan the code showing us our contact either that our contact scan our code. If the chat of our contact is protected, we will get a check. We can share our code to our contact to not having to face verification. 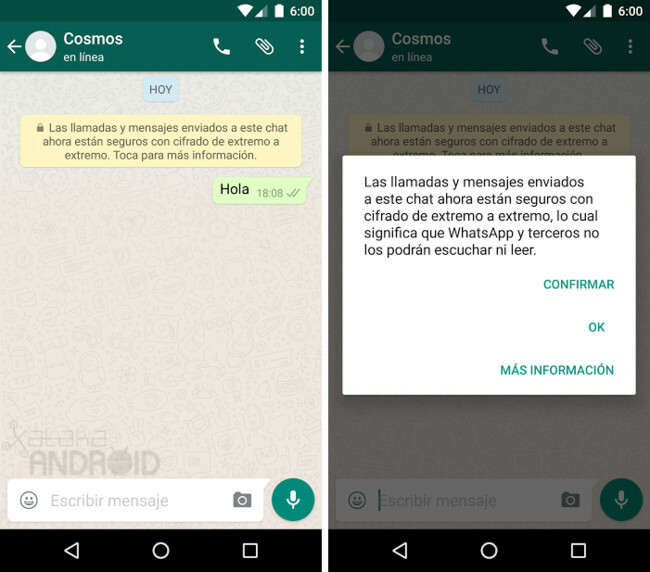 If any of our contacts have still a version very old whatsapp chat with that person will not be encrypted, when we go to see the security code see the notice of that conversation is not being encrypted for this reason. In Account > Security We can activate the safety notifications, that we will be notified when a contact security code has changed. This setting does not affect encryption. 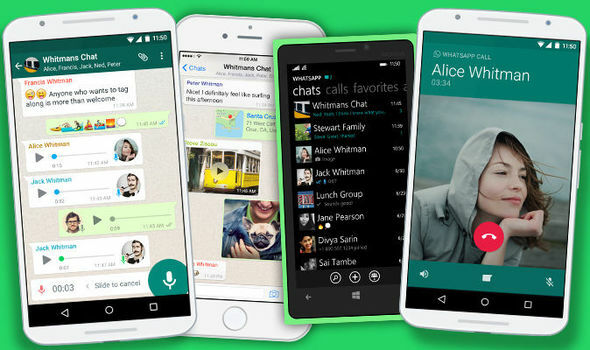 How safe are your WhatsApp messages? 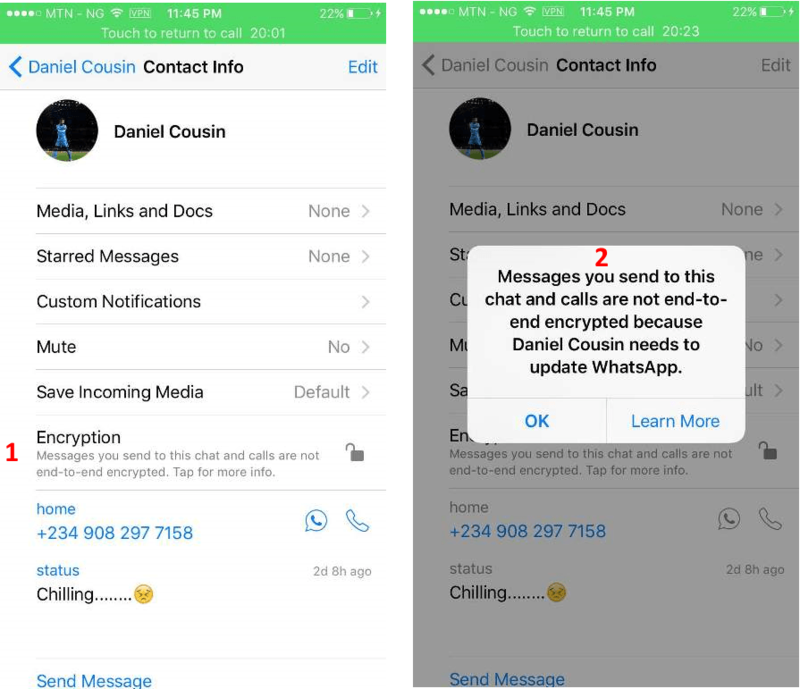 New encryption in WhatsApp: what has changed?